Developing shared expectations for both educators and students is key to a successful school environment. Sometimes it’s as simple as having a shared language. At KIPP DC’s AIM Academy, teachers struggled with deescalating students. Their natural instinct, to engage the challenging student, often resulted in unintentional elevation which disrupted learning time for the individual student and the rest of the class. To address this situation, Donna Defino, AIM’s Director of Instruction, introduced a strategy called May I Have this Dance? May I Have this Dance is an emotional constancy technique that teachers can use when students try to initiate a negative interaction, essentially, inviting the teacher to dance. The student begins, the teacher responds, and it can go back and forth for a while, almost always resulting in the escalation of the student’s behavior. As with any dance, there are good moves and bad moves. Teachers risk escalating a student if they do things like lose their temper, lecture the student (especially in front of classmates! ), threaten or embarrass the student, or even just let the dance go on for too long. This strategy is used to facilitate a teacher’s refusal to engage in the power struggle with a child when he or she realizes that the child is seeking control of the situation, which leads to the “dance.” Often the default move is for teachers to assert their authority over the student; May I Have This Dance builds a mindset shift and helps the teacher see that it is okay to not engage in the power struggle with the student. In other words, the teacher doesn’t need to dominate or be the “winner” and doesn’t have to “accept the invitation to dance.” By maintaining a calm, neutral voice, giving clear direction and focusing on solutions over problems, the teacher has the opportunity to take control of and end the dance. Donna and her fellow leaders at AIM introduced May I Have This Dance at a full staff professional development session in January. Using supporting Turnaround for Children materials about the science of learning and development to drive home the adults’ responsibility for maintaining a calm and safe environment, Donna and team introduced and then had teachers practice refusing to dance with one another. First, teachers thought of a student behavior that usually triggers an emotional response within them. Then, they described that trigger to a peer. That peer then enacted the behavior and the teacher practiced refusing to engage in a negative manner. They repeated this several times so everybody had the chance to practice. Soon, everybody was comfortable with using “I am not interested in dancing with you” language to remain emotionally constant when faced with a triggering student behavior. So how does this actually show up in the school? Ms. Davis* is standing at her door as her students filter into the classroom. When the bell rings, she asks Raymond* to join the rest of the class inside. “Why are you always picking on me? !” he erupts. 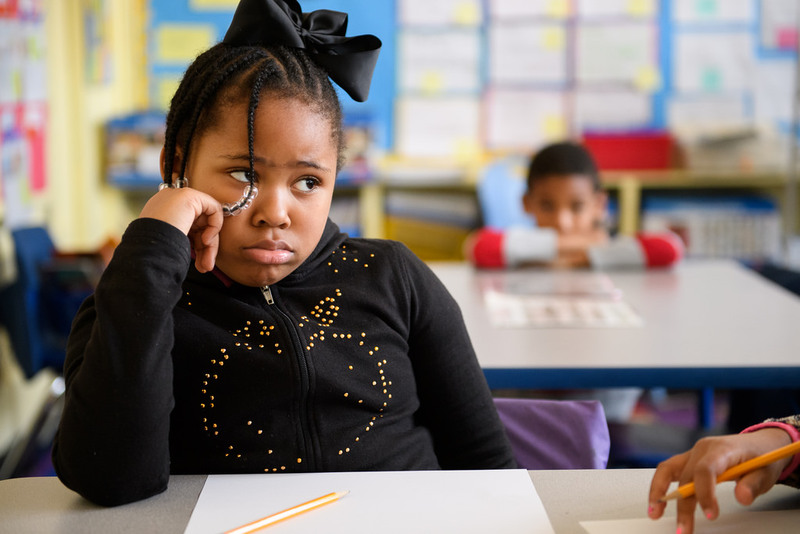 In past situations, Ms. Davis might have continued to coax Raymond into the classroom, showing some signs of frustration, permitting the student to become even more confrontational. But now she has a new tool in her toolbox. Ms. Davis refuses to engage. She calmly responds, “I do not want to dance with you today. I’ve asked everyone to come in, please come in, too.” And she steps aside to allow Raymond to enter the classroom. It’s an immediate cue to Raymond that Ms. Davis isn’t going to tolerate or engage in his behavior. Ms. Davis isn’t going to let him get under her skin. He can either enter the classroom and engage in learning or not. But regardless of his choice, Ms. Davis will continue her lesson, focusing on the rest of her students. Brianna* stomps into the administration office. “Ms. Brody* just sent me out of class AGAIN! I hate it here! This school is SO STUPID!” Mr. Shields* looks at her and calmly says, “Brianna, I am not dancing with you today. Turn around and come into this office again, hand me that note, and sit down like you know you are supposed to. Get a reflection sheet and write about what just happened.” Mr. Shields immediately removes himself from the dance, allowing the student to demonstrate self-regulation and agency in correcting her actions. May I Have this Dance is a simple solution to preventing student escalation. Rather than being triggered into arguing, and thus likely escalating a situation, the teacher can remember the dance metaphor and let the situation go. It allows the teacher to acknowledge that the student is attempting to escalate the situation, and to not take the bait. *Names have been changed to protect the students’ and adults’ privacy.